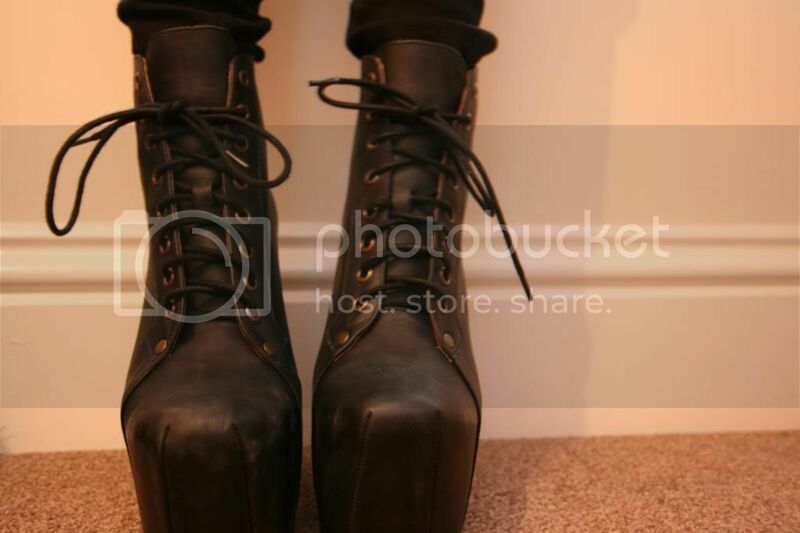 New shoes - Jeffrey Campbell 'Freda' | S J M W E L L - Fashion, Beauty & Lifestyle blog. These beauties are the new addition to my shoe collection, and pretty much the tallest. When I saw Office had a sale of Jeffrey Campbell's of course I wanted to pick up some Lita's but they were all out in my size. Instead I ordered these beauties, I think they're a little bit like Lita's on steroid's? the same shape of a Lita but with a big platform and an even bigger chunky heel. I'm loving heel's with the platform close to the block heel right now (Really not sure of the appropriate name for them) In all honesty I've had nothing but utter bother from Office for these lovely pair of shoe's to finally be mine. In short, I ordered these on the 25th November (early Christmas present!) and with Office being a big and well reputable company I thought they would arrive in a week. Wrong. After 12 day's I had yet to receive a delivery despatch email, my order was still 'pending'. I first emailed the email address at the bottom of the confirmation email but received no reply, So I tweeted them to get another email just to find out if there was a reason for a delay because it was still in stock on the website at the time. My email(s) have received no response (even now after nearly 25 days! well done on Customer service!) Finally after 20 day's, yes 20 day's after ordering I was told they'd sent them out. Of course I was super excited to finally have my first pair of Jeffrey Campbell's, but un-fortunately when I pulled the box out of the parcel bag it was ripped and re-selotaped up on corner's, lovely. All in all I love these shoes, I'm so happy to finally have my first pair of Jeffries. I know alot of people will say how high they are, and yes they are quite high and will take a little getting used to. They measure 6 1/2" heel and 3" platform. I think mine are in the black wash leather for anyone wondering. I think Lita's will defintely need to be next on the list to save up for. Luckily more U.K stockist's have a better range now, if only there was a U.K version of Solestruck they have so so many styles of Jeffries. 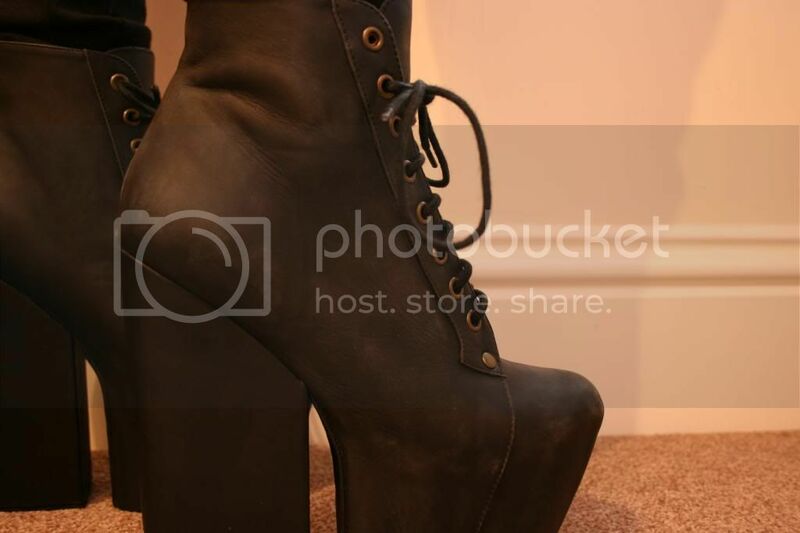 What's your favourite pair of Jeffrey Campbell's?